We recently sent out a MIDI Message newsletter and asked people to describe their favorite MIDI project. Harry Williamson from the Federation Bells in Melbourne, Australia sent us this message. 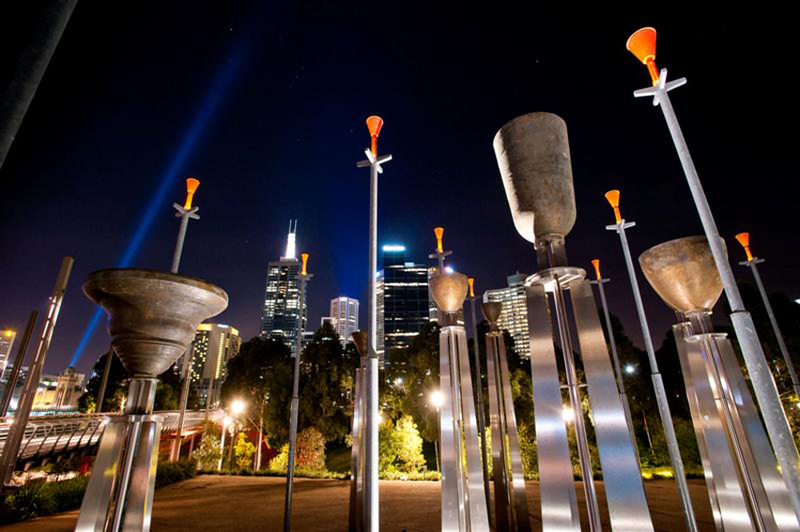 The Federation Bells, Birrung Marr, Melbourne. 39 Bronze up-turned bells play compositions 3 times daily from a MAX/MSP driven schedule from playlists comprising works composed and sent in by the public, and professional composers alike. I chose MIDI as the final driver language because its ubiquitous, simple and hard to crack. We designed and built the 16 channel bell controllers, the fft audio analysis program that listens to bells and tells us if they are working well or not, and many many other specialised functions in Python and other public domain languages. The free Federation Bells app for iOS and Android allows the user to play the bells locally via WiFi (and down the chain, MIDI) when schedules are not playing. 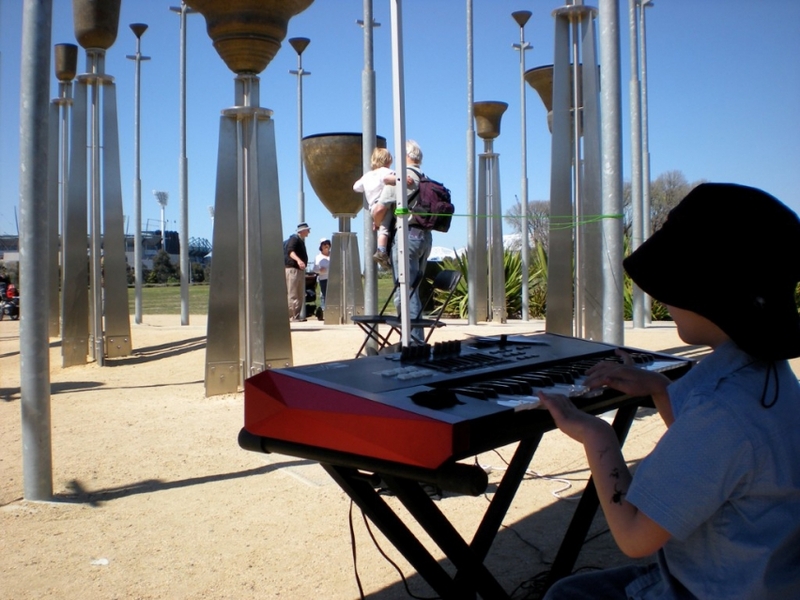 It's a world first interactive musical instrument/sculpture. Check it out. Write something on the app's sequencer/player and send it to us. If we like it we will play it publicly. Here is the links from the Federation Bell website. An Android version of the app is Beta. The bells are controlled by a computer located on-site. 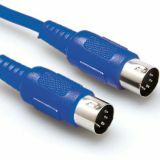 Musical compositions composed via this website are coded in MIDI (Musical Instrument Digital Interface). Each composition is a computer file that is scheduled to play at an allocated time. The MIDI data is converted into a series of electronic pulses that are delivered to each of the 39 bells. Within each bell is a solenoid that triggers a hammer to strike the inside of the bell. There are many sets of bells throughout the world. Typically called carillons these sets of bells are played by a single player via a keyboard. 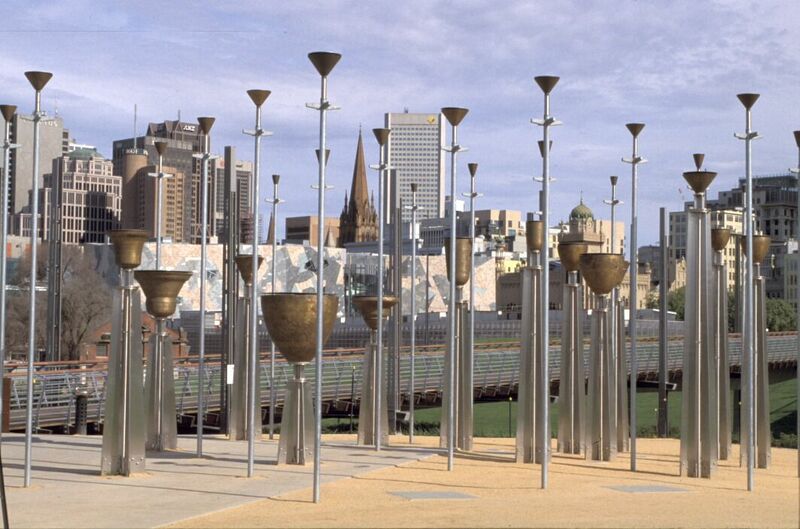 However, the Federation Bells are unique as a set of public bells that are played via a computer. The Federation Bells can also be played via a smartphone or tablet (from 2015), or by plugging in a MIDI keyboard. Check out the Federal Bells in action!